The LMDA/KCACTF Student Dramaturgy Award is designed to recognize contributions by student dramaturgs to the conception, development and production of theater within their colleges and universities, or to educational projects in dramaturgy. The philosophical foundation of this award – like that of dramaturgy itself – rests in the belief that art benefits from examination on the parts of both artist and audience, and that creative inspiration accompanied by analysis and reflection is most likely to lead to productions and projects that fulfill the spiritual, social and personal potential of the theatrical event. Also inherent in the guidelines is the belief that the dramaturg should participate fully and uniquely in the collaborative act of making theater and in promoting social discourse around the theatrical event. 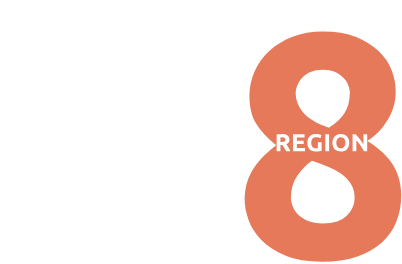 To validate the significance of the dramaturg’s contributions – and to raise awareness of dramaturgy in the academic field – the Kennedy Center requires a letter of nomination from a faculty member. This award is the result of a unique collaboration between Literary Managers and Dramaturgs of the Americas (LMDA), the professional association of dramaturgs and literary managers working in North America, and the Kennedy Center American College Theatre Festival (KCACTF), a national program dedicated to improving the quality of college and university theater in the United States. Additional support is provided by the Association for Theatre in Higher Education (ATHE). Professional dramaturgs, members of LMDA who live in each region, will select the winner of that region’s LMDA/KCACTF Student Award in Dramaturgy. Who is eligible?Undergraduate and graduate students who work specifically as the dramaturg on a production or workshop, or who submit work created for a dramaturgy class. If the project is a workshop or production, the student must be credited as the dramaturg. A student who also writes, directs, designs, performs in, or otherwise collaborates on a project will be responsible for articulating the boundaries of the dramaturgical work and speaking on its behalf. The student need not be enrolled full-time to submit work for this award, but we do encourage dramaturges to attend the regional festival to represent their works. The Program Note Award recognizes the work of student dramaturgs who write engaging, informative program note for participating or associate KCACTF entries during this Festival year (January-December). Entrants submit an application form, as well as a copy of the note as it appeared in the program of a participating or associate status production. The LMDA/KCACTF Student Dramaturgy Award recognizes student dramaturgs’ contributions to theatre production and educational projects in dramaturgy at their colleges and universities. It comes through collaboration between Literary Managers and Dramaturgs of the Americas (LMDA) and Kennedy Center American College Theatre Festival (KCACTF), with additional support from the Association for Theatre in Higher Education (ATHE). Fellowship Opportunities: Regional Fellowship recipients will receive membership in LMDA, an all-expense-paid residency at the National Festival at the Kennedy Center in mid-April, and multi-day workshops with leading artists in both production and new-play dramaturgy. The recipients of the National LMDA/KCACTF Fellowships receive residencies with the O’Neill Playwrights Conference, the Playwrights’ Center in Minneapolis, or the Kennedy Center/National New Play Network’s MFA Playwrights’ Workshop in the summer. Eligibility: Undergraduate and graduate student dramaturgs on a production or workshop, or who submit work created for a dramaturgy class. Students need not be enrolled full-time to submit work for consideration for this award. Projects must be completed (plays closed, workshops completed, projects turned in) by December 1 to be eligible. Projects completed after December 1 may be submitted for this award the following year. Due to the smaller overall pool of students who are participating in these areas, all eight regional award recipients in each area will now be considered by a national panel of leading artists in the field, and the top four candidates in each area will be selected to attend the national festival. Deadline for receipt of everything, including all supporting materials as a PDF file, is January 15. Create a title page, identifying the dramaturg (name, mailing address, e-mail address, and phone number), the school where the project was completed, the title of the project, and its date. Include a project description consisting of two statements written by the dramaturg—one describing the breadth and scope of the project and its challenges, and the other detailing the process from start to finish. Information gathered for individual packets. The judges need not see all that you researched; rather, they are interested in a clearly organized and accessible overview of the research materials. They are particularly interested in your analysis of the material. what is creative about the dramaturg’s approach or analysis? how is the production or project enhanced by dramaturgical analysis or research? Alternatively, how is the academic project in dramaturgy imaginatively projected into a larger social, political, academic, or artistic setting? in what ways are the audience, artists, or institution enriched by dramaturgical ideas and execution? how much and in what ways is the dramaturg involved with the entire process? How did s/he contribute to the process outside of initial research and putting together packets? how are issues that might be raised by the terms of the collaboration or changing responsibilities dealt with or resolved? Regional fellowship recipients will receive membership in LMDA, an all-expense paid residency at the National Festival at the Kennedy Center in Mid-April, and multi-day workshops with leading artists in both production and new play dramaturgy. The recipients of the National LMDA/KCACTF Fellowships receive residencies with the O’Neill Playwrights Conference, The Playwrights’ Center in Minneapolis and/or the Kennedy Center/National New Play Network’s MFA Playwrights’ Workshop in the summer.